Plastic Bag Bans: Real or Phony Environmentalism? What is the difference between “real” and “phony” environmentalism? A real environmentalist is one who carefully evaluates the impact of environmental actions and considers all of the facts including primary and secondary impacts. In addition, a real environmentalist is willing to consider alternative environmental actions or even to modify the proposed environmental action in order to eliminate or compensate for unintended and damaging consequences. The phony environmentalist, on the other hand, embraces emotional “feel-good” ideas that sound wonderful but produce unintended and damaging consequences. 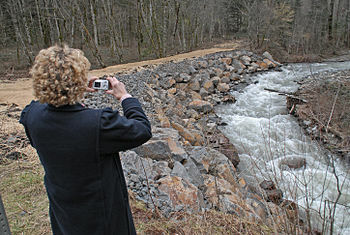 The phony environmentalist, when confronted with these consequences, is often dogmatic and unwilling to change proposed environmental actions or even to consider alternatives designed to minimize the unintended and damaging consequences, because they are driven by “feel-good” emotions rather than a logical thought process. The real environmentalist embraces “real science” and the phony embraces “pseudo-science” and “feel-good” ideas that sound good but are not based upon real science. In fact, entire books have been written on the phenomenon of phony environmentalism, such as “Eco-Fads” by Todd Myers and “Science Left Behind: Feel-Good Fallacies and The Rise of The Anti-Scientific Left” by Alex B. Berezow and Hank Campbell. Unfortunately, phony environmentalism has a track record that ignores negative environmental impacts, wastes resources, and imposes dubious environmental programs on the public through law. This dubious track record has destroyed the public’s perception of genuine efforts to improve the environment. Arguments to support plastic carryout bag bans are weak, generalized, emotional, and irrational. These arguments can be better described as nothing more than lies, myths, half-truths, distortions, and embellishments. It doesn’t take a lot of time for a person with an open mind and some skills in sorting fact from fiction to examine the arguments and come to the conclusion that a ban on plastic grocery bags is unsound. But it takes a commitment to objective truth to sort fact from fiction. So how do you immunize yourself from the misinformation that bag ban proponents attempt to foist on you and keep yourself from being hoodwinked and having the wool pulled over your eyes? You have heard the saying “I’m from Missouri, show me!” This little saying describes the kind of skeptical attitude that you should develop, that you do not take things on faith, that you cannot be easily fooled or conned, you have to see the evidence and the proof. Developing a skeptical “show me” attitude, learning to ask pointed questions, will make you less susceptible to misinformation and false propaganda. Start by reading and familiarizing yourself with the contents of the article titled “The Lies, Myths, Half-Truths, and Exaggerations of Bag Ban Proponents” (van Leeuwen & Williams, The Lies, Myths, Half-Truths, and Exaggerations of Ban Ban Proponents, 2013). This article will provide you with a basic understanding of many of the myths and misinformation typically used by most bag banners. 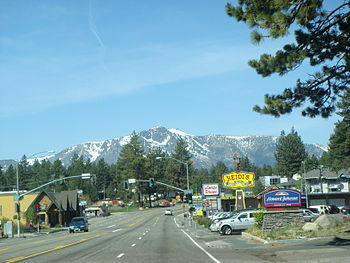 On 1 October, 2013 the Lake Tahoe City Council voted 3-2 to ban “single-use” plastic bags distributed at the check stand for customers to carry purchases home. Councilmembers Hal Cole, Angela Swanson, and Brooke Laine voted for the ban and Mayor Tom Davis and councilmember JoAnn Conner voted against the ban. What makes this plastic carryout bag ban ordinance different from others is that is does not mandate a fee for paper bags; does not require retail stores to keep records and report to the city on the number of paper bags distributed and fees collected; and does not implement an enforcement mechanism by the city. The council decided that it is up to the retailer to decide if he wants to charge a fee for paper bags or recover the cost of paper bags through higher retail prices. On 16 December 2013, the Ventura City Council voted 6 to 1 to go ahead and prepare a Single-Use Carryout Bag Ordinance and BEACON EIR addendum for consideration in six months by the City Council. The council also voted to support the efforts of State Senator Padilla to pass a bill to institute a statewide single-use carryout bag law rather than a local ordinance. Currently there are two bills going through the California State Legislature concerning plastic carryout bags. SB-405 is authored by State Senator Padilla and AB-158 by Assembly member Levine. Both bills appear to have started out with the same text which is being marked up as the bills goes through the different committees in their respective houses. The full article can be read by clicking the following link: Ventura City Council Votes To Proceed With Plastic Bag Ban Preparation. Bag Ban Proponents like to point out that the recycling rate for plastic carryout bags is 5% or less and that because of the low recycling rate, plastic carryout bags should be banned. On 1 October 2013 the Santa Barbara City Council voted to deny the appeal by Save The Plastic Bag Coalition (STPB) and to go ahead with the Plastic Bag Ban. The issue will come to the council for a second reading of the ordinance in two weeks. On August 8, 2013 the Santa Barbara Planning Commission voted 6 to 1 to certify the Beach Erosion Authority for Clean Oceans and Nourishment (BEACON) Final Environmental Impact Report (EIR) and a City of Santa Barbara Addendum without notifying interested parties in a timely manner. As a result interested parties, such as myself and STPB, were not able to attend the public meeting to answer questions or to present a case why the EIR is flawed and should be rewritten. After finding out about the action, STPB filed an appeal which was heard at the 1 October 2013 City Council meeting. 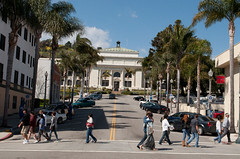 To read the entire article click on the following link: Santa Barbara City Council Votes in Favor of Plastic Bag Ban. Bag Bans: Officials Neglect Homework! Misguided officials in more and more California communities are adopting plastic carryout bag bans and, in their haste to jump on the latest Eco-Fad bandwagon, fail to perform due diligence in attempting to solve a complex problem. Little to no effort is spent actually analyzing the problem or coming up with possible alternative solutions. So starts a newly released article that identifies the failures of City and County Officials to investigate and find traditional solutions in favor of implementing a totalitarian solution to force a particular lifestyle on the people of this country, a country that is supposed to be the land of the free and home of the brave. To read the new article click on the following link: Bag Bans Officials Neglect Homework. This hard hitting article is a must read for citizens who want to see how their elected officials are failing to perform due diligence. Local ordinances that implement plastic carryout bag bans are very similar from one community to the next. The ordinances ban the distribution of plastic carryout bags and impose a fee of 10 or 25 cents on paper bags to discourage paper bag use and encourage the use of reusable shopping bags.